Also, it's the book birthday for my latest young adult contemporary novel Chasing Days. I'm celebrating BIG (of course, there's confetti!) Check out my Instagram or Facebook for the latest. Wondering what this sunny book is all about? 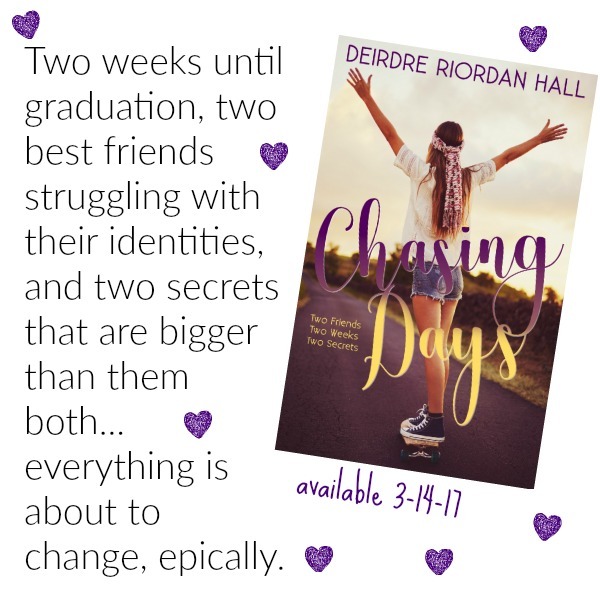 Get your copy of Chasing Days! 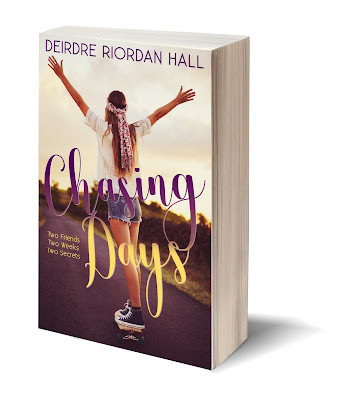 There's also still time to win a signed copy. Please enter below. Apologies, this giveaway is only open to US residents. Two weeks until Willa Wohlbreuk graduates. Fourteen days for exams and senior pranks. Three-hundred- thirty-six hours for friendships to unravel and to fall in and out of love. Twenty-thousand-one-hundred-sixty minutes left to go wild and grow up. Thank you readers for your ongoing support, enthusiasm, and interest in my writing. It means so, so, soooo much to me and makes me smile so, so, soooo big! P.S. What kind of pie should I bake to celebrate? I'm feeling apple, but I'll take suggestions in the comments below.